Indian badminton appears to be coming of age and progressing well. Both players in the final of Singapore Super Series on Sunday, 16 April were Indian. 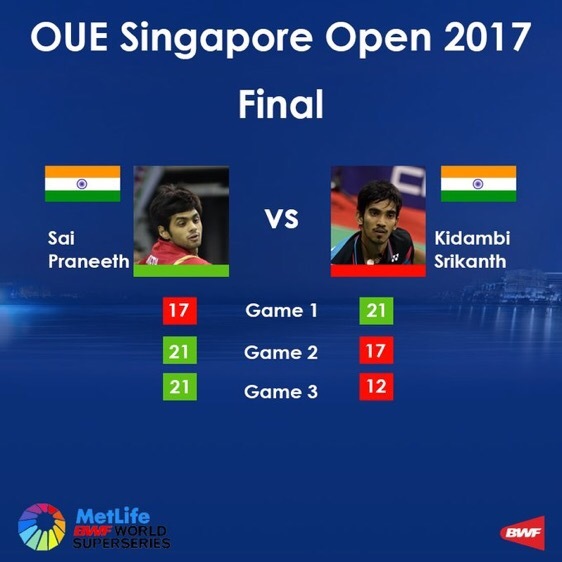 Sai Praneeth defeated Srikantha Kidambi in 3 sets. They both are trained by the legendary coach, Pullela Gopichand in Hyderabad, India. Congratulations, Sai Praneeth for a fantastic win. Commiserations. 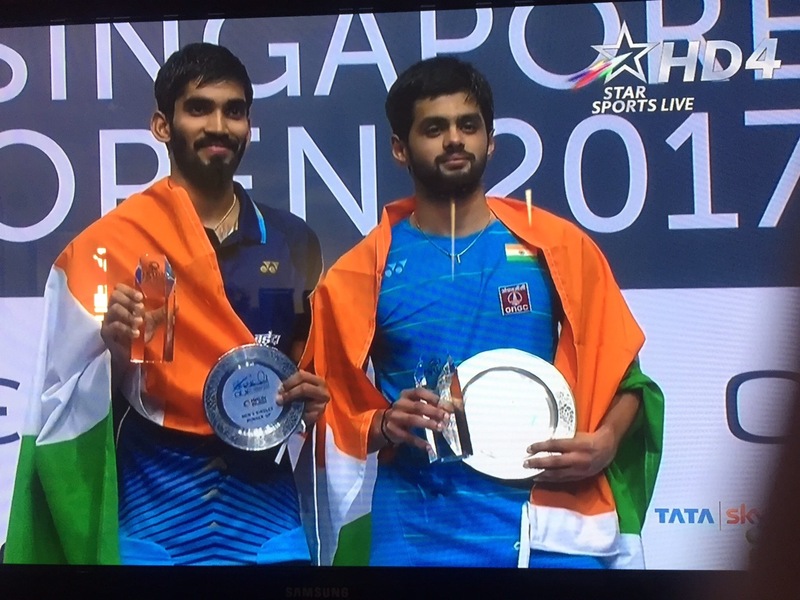 Srikanth Kidambi . You played extremely well. They both are champions, and have brought laurels to India. India is participating in Sudirman Cup 2017, held at Gold Coast from 21-27 May, 2017. I am not sure which Indian players are participating in the matches, but I hope Praneeth and Srikanth are playing. Their participation would give India a competitive edge. It is well known that Badminton is a hugely popular sport in India, and is 2nd only to Cricket. Recent successes of Indian Shuttlers will only increase the popularity of Badminton in India. This entry was posted in Dr Yadu Singh and tagged Badminton Association of India, Badminton Australia, Dr Yadu Singh, Indian Badminton, Sai Praneeth, Singapore SS, Singapore Super Series, Srikanth Kidambi, Sudirman Cup 2017. Bookmark the permalink.